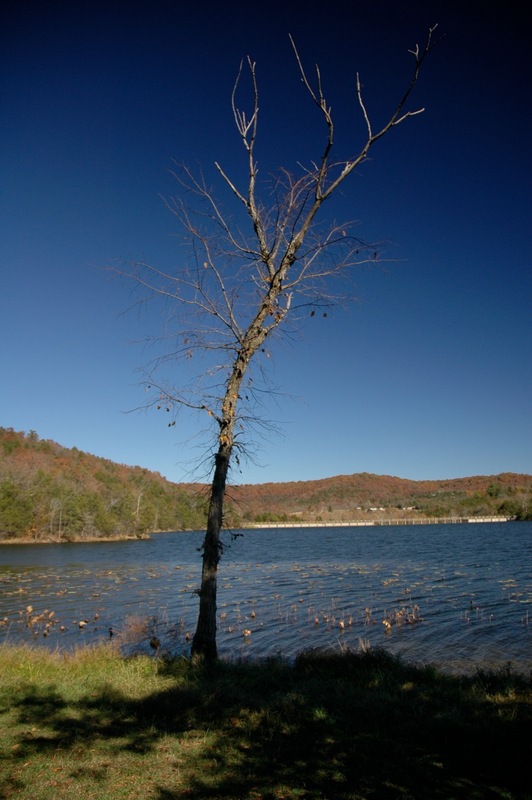 Two weekends ago, we went to Lake Leatherwood - outside of Eureka Springs, AR - for a picnic and a hike. Luke loved it, and Matt got to take some great photos, like the one above. Who knew one lonely tree on the shore of the lake could look so cool!